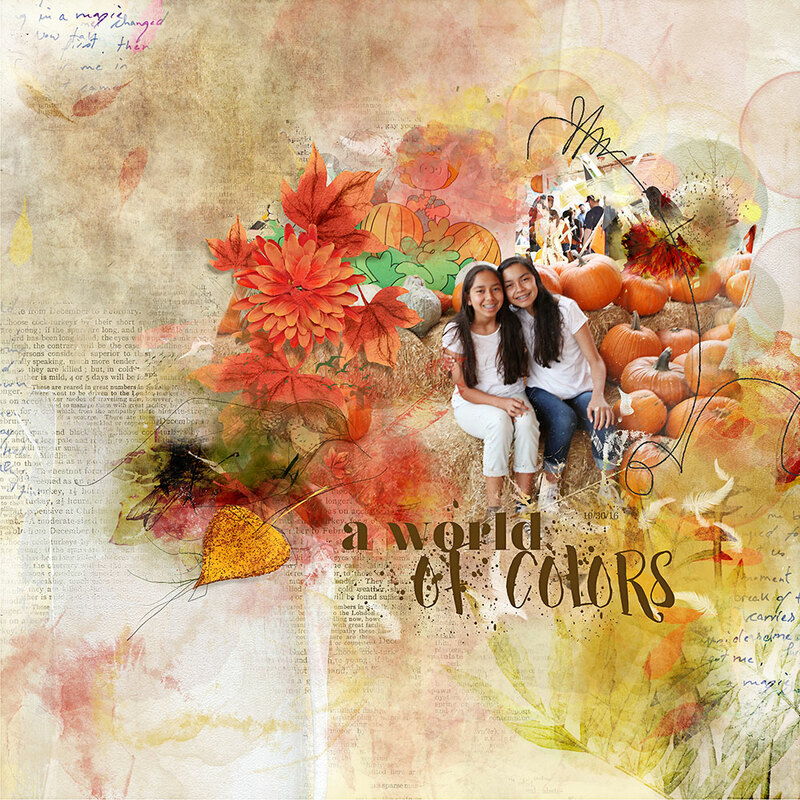 WonderFALL Collection – Inspiration by Flor (aka twinsmomflor) Hi there Flor here. So fun Fall is here. Finally cooler weather, mornings and evenings are enjoyable again. Nicole has done it again she made a collection with beiges and browns, Iove the bright reds and the soft beige browns that goes with everything. You don’t want to miss this collection. 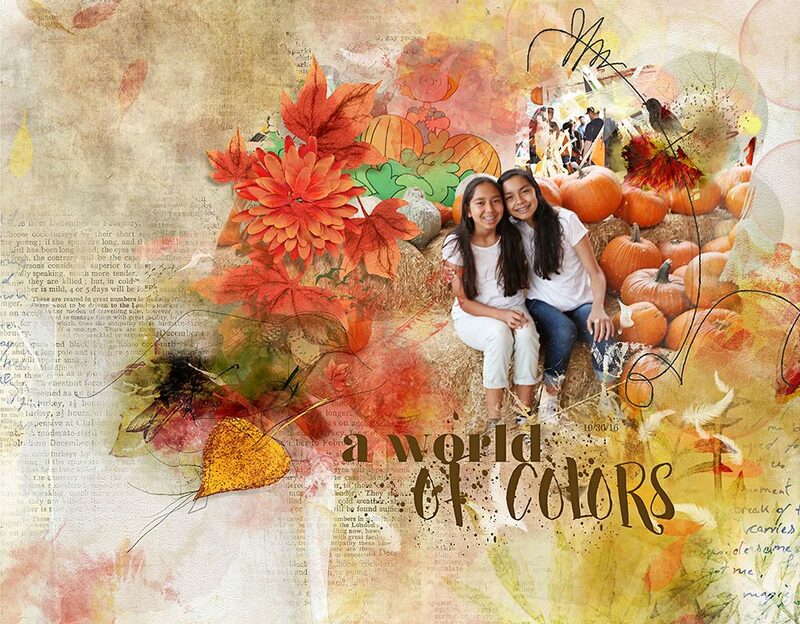 I started with the vintage paper, I place the photo and clipped it to the blending mask, add stamps and elements on the back and front of the photo. I wanted the orange be the prominent color. I used the watercolorblender brushes to trim the photo and elements and the acrylic style for the wordart.